If you’re looking for an infinitely flexible solution to any lighting problem, then you’re in luck. 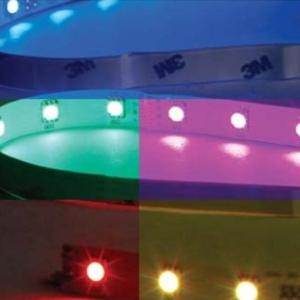 Flexible LED striplighting offers enormous scope in its applications, and can be employed in the home, the office or as part of a decoration or art piece due to its uniquely flexible properties. 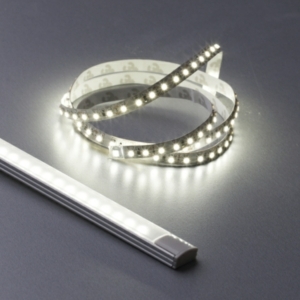 Providing light to secluded, hard-to-reach or confined spaces is an easy task when using flexible LED striplighting, as they can be laced through fine gaps, affixed to the insides of shelves and cupboards, wound around obstacles and generally altered to fit any space and shape required of them. 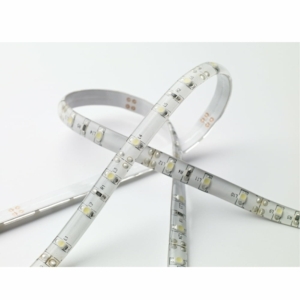 There is no maximum length, and Light Supplier will be happy to supply your flexible LED tapes and striplights in bespoke lengths, based on your needs. Just call us and ask! A number of these versatile lights can be fixed to the same surface to provide massed light, or employed alone for a gentler, softer light that is available in a number of colours. 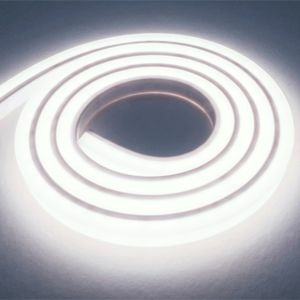 With Christmas fast approaching, we’d like to point out that these lights are available in a colour-changing LED tape as well, which is just as flexible and perfect for use in decoration, giving you almost limitless possibilities for festive lighting. 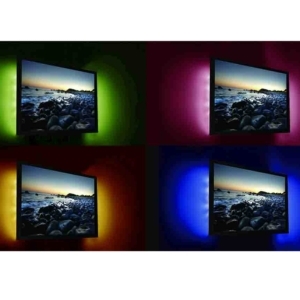 Flexible LED striplighting lies almost completely flush with the surface it is mounted on, so it wins out against a) Standard striplighting for flexibility, b) LED spotlights for a long luminous surface and c) Slim, low profile and recessed bulbs for all-around lighting potential. A light that can be put anywhere and made to do anything - we’re extremely happy with our flexible LED striplights – and after installing them, we guarantee you will be too! 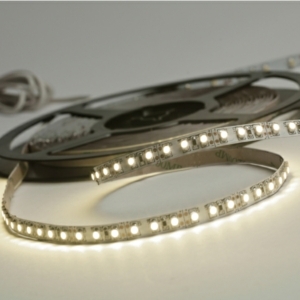 We offer these LED tape lights in a number of different varieties, standard or IP65 rated LED tape, 60 - 120 diode LED tape. 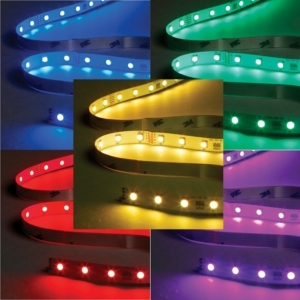 Don't forget you have a choice of Single Colour LED Tape and RGB Colour Changing LED Tape. 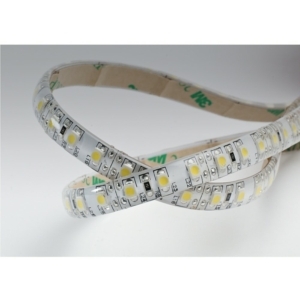 All our LED tapes can be manufactured to bespoke lengths. Please feel free to call us to discuss your needs. These LED flexible tapes make excellent plinth lighting. 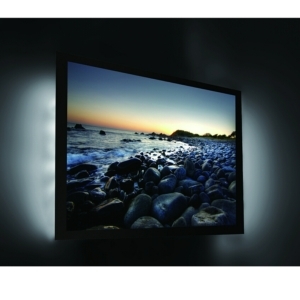 Check out our LED Plinth Lighting section to see our full range.